This is a comprehensive and intelligent success achievement program for setting and following through with personal and professional goals by the California behaviorist who popularized the method of "neurolinguistic programming" (NLP), or control of mind over body, culminating in his trainees' barefoot jaunt over hot coals. 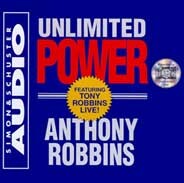 Essential to Robbins's "Ultimate Success Formula" are clarity of desired goals, energy, passion, persistence of action, effective communication skills and altruistic motives. His is a success prescription based on realistic and sophisticated ideology, best suited for those who have already "got what it takes" and simply have yet to make it happen.